We were asked to design the overall look and feel of a suite of HTML email newsletters, and continue to provide the design and build for each issue. 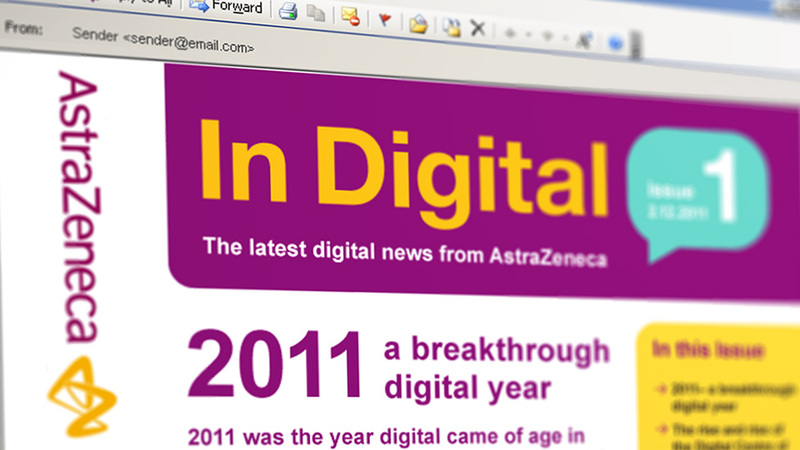 The HTML email newsletters needed to promote AstraZeneca’s Centre of Excellence as a living, interactive place for the digital community to share and learn. Our client was keen for the HTML email newsletters to act as much more than a ‘meet the team’. We produced a contemporary, dynamic and clean design, making for a punchy, attractive easy read, that appealed to sales and marketing teams. Because the newsletters would be supplied to AstraZeneca ready to be sent out, we were able to have more freedom with the design and layout of each article from issue to issue. Have a look at other examples of engaging newsletter and email design that have helped clients of all shapes and sizes reach their goals.